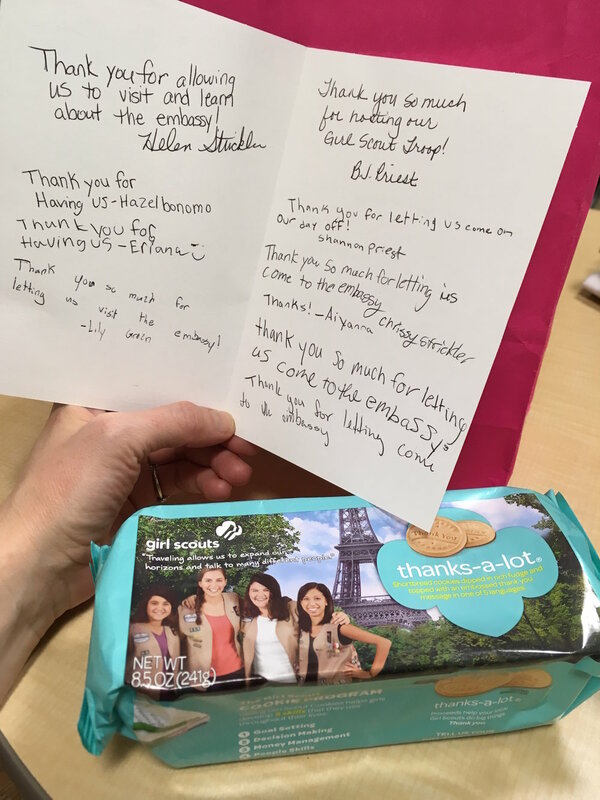 In preparation for "World Thinking Day," a girl scout troop from Stafford, Virginia, visited the Embassy on January 29, 2019. The scouts, accompanied by their troop leader B.J. Priest, were ready to “deep dive” into everything Austrian (their selected country) from food, clothing, history, language, and famous people to government, customs and everyday life. 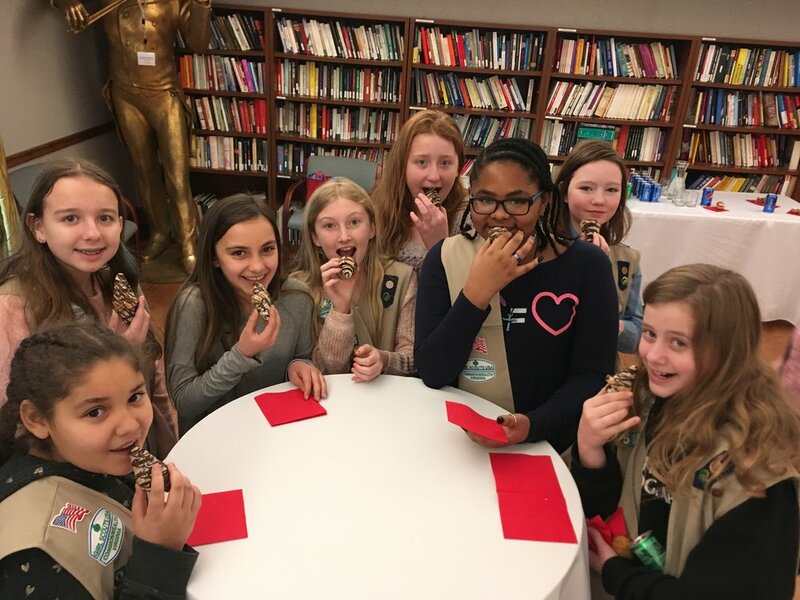 For "World Thinking Day," an annual celebration where girl scouts learn about different countries in the world, the girls will prepare a display to showcase what they have learned about Austria. Among other things, they learned that the tale of the croissant begins in Austria.